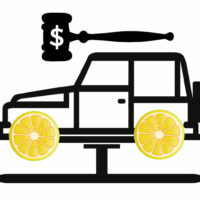 Why Do Lemon Law Claims Get Denied? Many California car owners who purchase defective vehicles are forced to file Lemon Law claims so that they can get their money back and be reimbursed for the money and time spent seeking repairs. Some of these claims—even when entirely valid—get denied by auto manufacturers. Read on to learn about some of the most common reasons that Lemon Law claims are denied, and contact a seasoned California Lemon Law attorney for help in getting the money you deserve after purchasing a defective car. After you file a Lemon Law claim, the manufacturer will probably conduct a factual investigation of your claim but may miss certain important information, leading them to believe your claim is baseless. Auto manufacturers and dealerships don’t always communicate with one another effectively or keep organized records of repairs. Another possibility is that the employee considering your claim has denied it because they did not apply the law to your claim correctly. A Lemon Law attorney can help you appeal a decision made in error by a representative of the manufacturer. In some cases, denial of a legitimate Lemon Law claim is made not out of ignorance of the law or facts, but because the manufacturer or employee has other motivations for not wanting to approve the claim. For example, the worker considering the claim may believe that the customer’s right to file a claim will soon expire, whether due to the statute of limitations or some other reason, motivating them to try and run out the clock. It’s also possible that the department considering the claim has completed a number of Lemon Law buybacks in recent months and, in order to keep their expenses down, has denied your claim to make their department look better. It’s a phenomenon that occurs in all private industries, and even among public benefit providers—denial of valid claims simply out of a desire to get the claimant to give up. Sadly, many customers who have a right to compensation from an auto manufacturer lack the time or understanding of their rights to fight these denials. An experienced California Lemon Law attorney who understands the claims process and won’t be so easily bullied into abandoning a claim can take over the fight for damages on your behalf. If you’ve purchased a defective vehicle in California and believe you may have a right to damages under the Lemon Law, contact seasoned and professional California Lemon Law attorney Nick Nita for a no-cost consultation on your claim in Los Angeles at 213-232-5055, or toll-free statewide at 877-921-5256.